An attractive range of Visiting Card Holders provided by us is in high demand in the market. 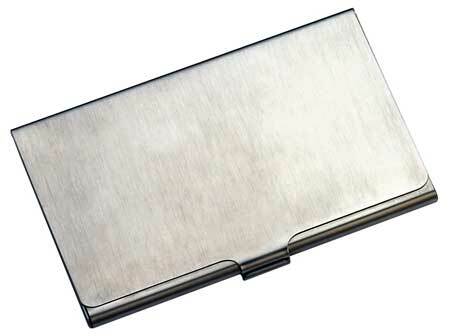 Our Visiting Card Holder is widely used in the offices, corporate and many other sectors. High grade quality raw materials are used for the manufacturing of Visiting Card Holder to assure durability and quality. Superior design, completely weather resistant property and high utility are some of the salient features of our Visiting Card Holder. Available in various sizes and designs, our Visiting Card Holder can be customized as per the demand of the client. We are well reckoned as one of the preeminent Metallic Visiting Card Holders Suppliers in India.